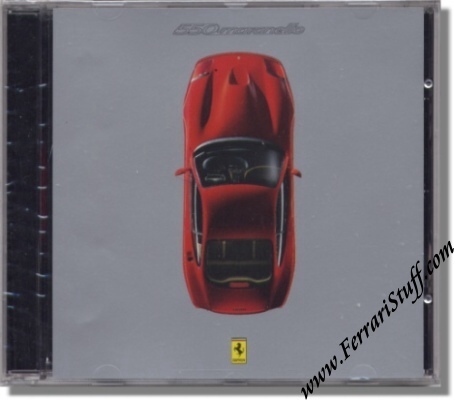 Ferrari factory original 1996 Ferrari 550 Maranello Press CD-ROM. Contains images of the then new Ferrari 550 Maranello. These CD-Roms were issued by the factory to inform the media about new models. They are usually issued in small numbers and are NOT available to the general public but are reserved for the press ONLY. No Ferrari print number but factory original and still wrapped in its original foil.